$75 to Spend on Picaboo Custom Cards for Just $25! Today's Groupon came just in time! I know there are some great deals out there for holiday cards and whatnot, but many of them don't even cover half of the amount of cards you actually need. Well, now they do! - For $25, you get $75 worth of holiday cards. - For $40, you get $100 worth of holiday cards. 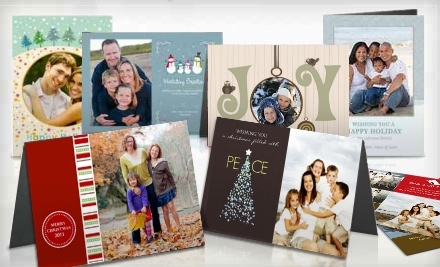 - For $50, you get $120 worth of holiday cards. So any way you slice it, you are getting a great deal on some REALLY nice cards that will be sure to impress! Go here to get this great deal!